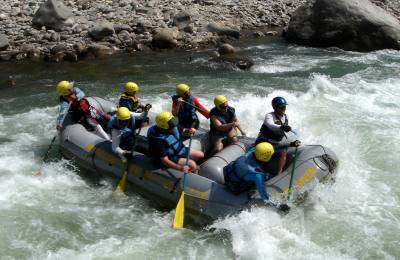 Rafting in Nepal is your desire for adventure, it is easy to find the perfect river in Nepal. There are wide range of difficulties from a gentle 2-day float down the Seti river, to an exhilarating 10-day adventure through the rapids of the remote Tamur and Karnali, there is an experience for everyone waiting in Nepals famous white waters. The river of Nepal are changed with the seasons each year after the heavy monsoon rains. Water swell and changing the run of the rivers and the nature of the rapids and creates new. It is important to remember that some of the white water action you are about to read could have changed by the time you come to run the river . At MRR we are constantly monitoring changes in the rivers and their rapids, so that we can always ensure the safety of our clients and plan expeditions with precision while we are rafting. There are two kinds of trips. 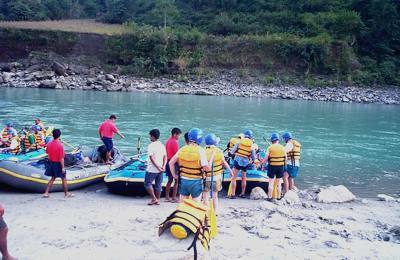 Rafting for short trip between 1 and 4 days where wont be any trekking involved. 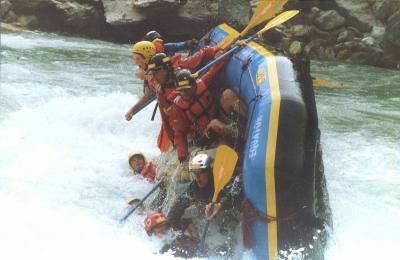 Some of these trips involve less challenging white water and are ideally suited to first time rafters and families. 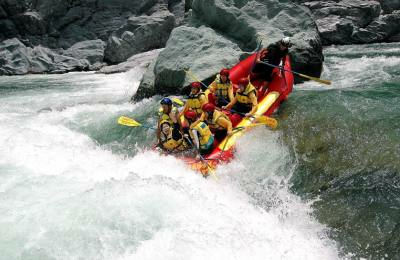 Attractive experience of other thrill-seekers with their world- class rapids. The Rafting in Nepal with long trip takes you into some remote areas where often begins with short treks to the river Need some local Nepalese Porter to carry gears and supplies. The Long trips takes you easily Near by the Notional park and Wildlife Preserve at the end. Mostly the Karnali trip will finish in the Bardia National park. So that your trip can combine with Safari (jungle) for the different kinds of birds and Animals like our native tigers, bears and rhinos.